Rev. Msgr. Rafael “Boy” Oriondo, Parish Priest of the Most Holy Trinity Parish, inspired the Bridgetine community in his homily during the thanksgiving mass for the celebration of the institution’s 105th founding anniversary, held at the Pastor’s Field, Feb. 1. 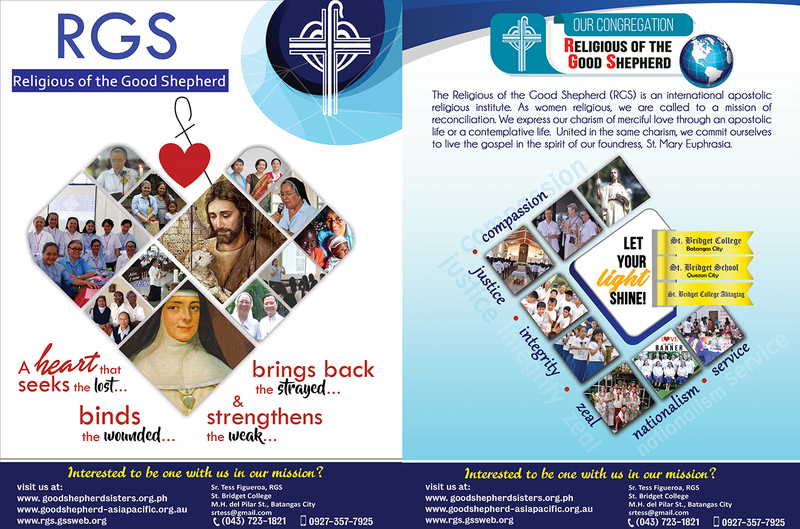 “Personally, I would like to thank the RGS Sisters for continuing the major goal of the institution which is to establish spiritually guided Christians, brilliant beacon of academic excellence, and community oriented persons,” shared Msgr. Boy. He emphasized the development of the school to meet the demand of the new curriculum in terms of the resources and facilities, infrastructures, and services. “Dear students, the goal of SBC is to uphold the legacy of excellence anchored on Christian faith. With the continuous improvement of the school, I am sure that you can easily adapt to the current demands of global education supported with the same quality by which this institution adheres to,” he added. Moreover, he reminded the students to continue spreading the blessings and legacy of being a Bridgetine. “Your motto says, let your light shine. All of us are bearers of God’s light. Let us continue to share that light to other people and thank Him because you are a Bridgetine. More importantly, never forget to uphold the good name of your institution by being living witnesses of God’s words,” he concluded. Afterwards, an exhibition game of the teachers, staff members and alumni for volleyball and basketball was held at the SBC Gymnasium.